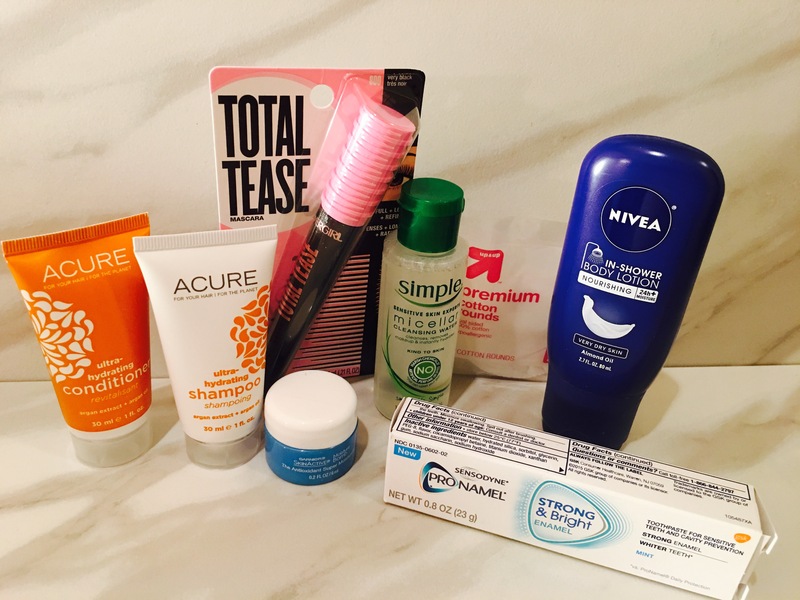 So… I finally got my hands on the Target Beauty Box! I have been trying to order one for at least 2 months now, but they are only while supplies last. They sell out quick. But I was able to get the September Total Hydration Beauty Box and the September Your New Basics Beauty Box. 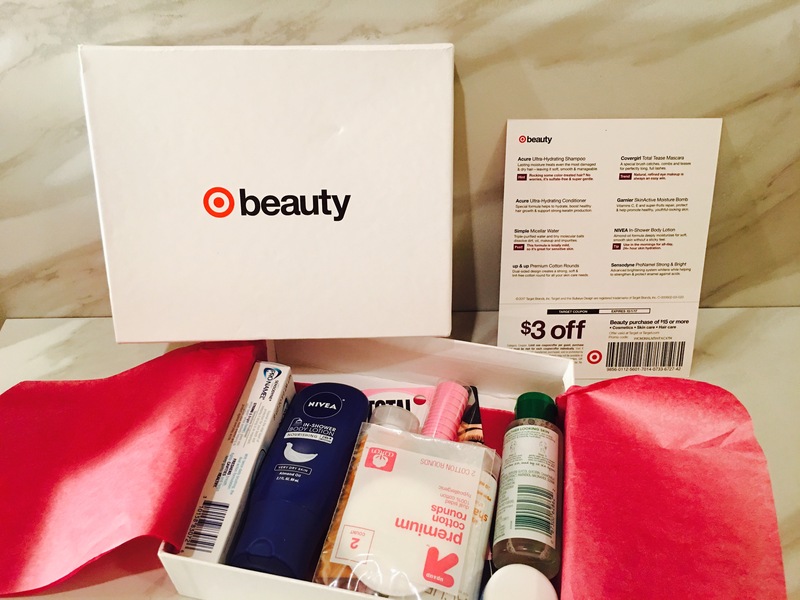 The Target Beauty Box is not a subscription service. It’s a online only, monthly beauty box for only $7. The box is packed with about 5-8 trial size items and $3 off coupon for beauty purchases of $15 or more. Honestly, this is a great deal. They’ll make perfect gifts for your friends and family members during the holidays without breaking the bank. 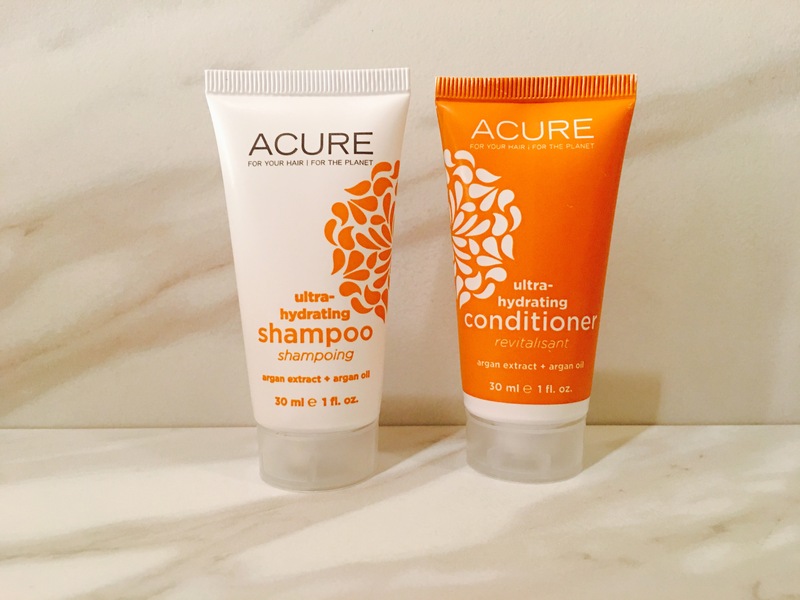 Acure Ultra-Hydrating Shampoo & Conditioner with argan extract and argan oil. The shampoo and conditioner formula is mild and good for sensitive skin. It’s also sulfate-free. I’ve seen this product on shelf in many stores, but never purchased or used it. Now that I have these trial sizes I will definitely try it out, when I go back to wearing my natural curls for winter. Simple Micellar Water with no harsh chemical and artificial perfume or dyes. I am very big on make up wipes to take off my makeup, just because it’s quick and simple. Lately I have been using micellar water or gel to clean my face before applying make-up. You know just to make sure my face is really clean before I spread make-up all over it. 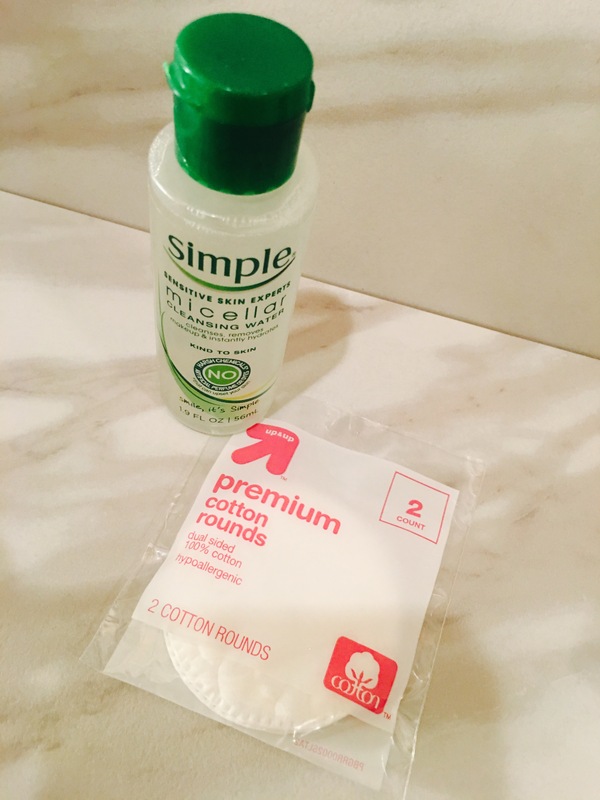 I currently have the Garnier Micellar Water, but I’ve tried this product and love them both. This trial size bottle is great for travel, so I don’t have to carry around the big bottle in my suitcase or overnight bag. The box also included 2 dual-sided up & up Premium Cotton Rounds. I thought that was a clever idea. Typical me, after I opened the box and took my blog pictures- I used the micellar water and cotton rounds right away. I used wanted to see how it felt. 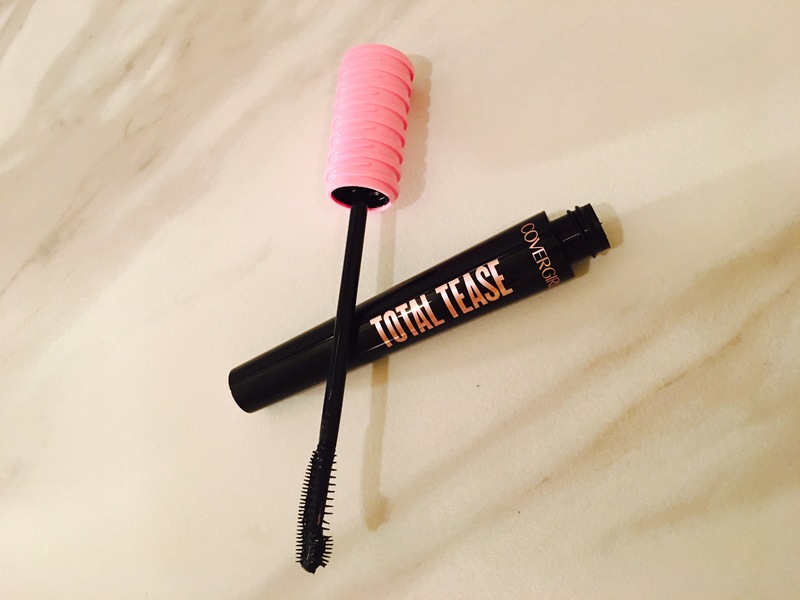 Covergirl Tease Mascara for full natural lashes. I have seen the commerical for this new Total Tease product but wasn’t inspired to go purchase it. Honestly, I hardly ever buy mascara because I never run out. I have so many beauty subscriptions and mascara is so popular that I also have one. I don’t have a favorite brand or type or anything like that. But since a FULL size bottle of the Total Tease was in the box, I will use it. Garnier SkinActive Moisture Bomb with vitamin C and E to help promote healthy skin. 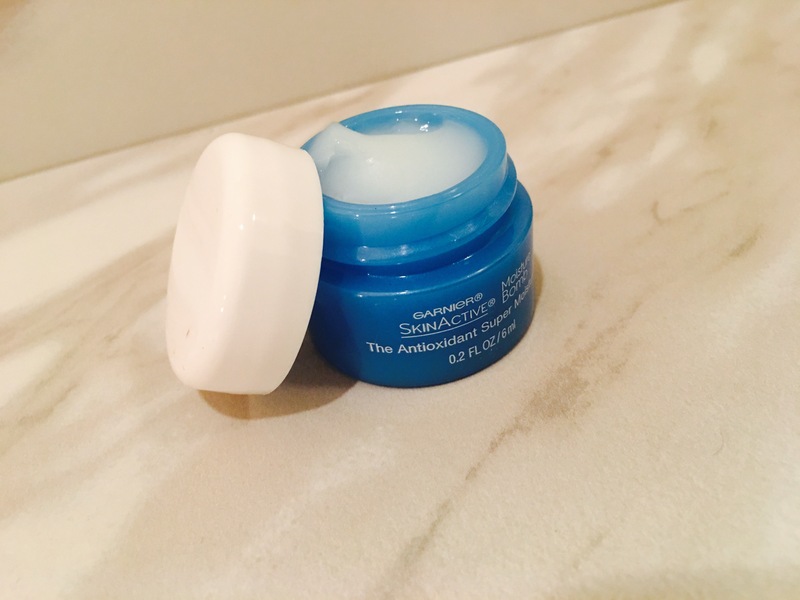 Honestly, I’ve never come across this product before, but who doesn’t love a good moisturizer. I can’t stand the feeling of a dirty face. So I keep facial wipes in my purse to wipe my face throughout the day if I need to. You know after you cleanse your face it can feel dry so you need to hydrate it. This little jar is the perfect size. I carry it in my purse for a little refresh throughout the day. 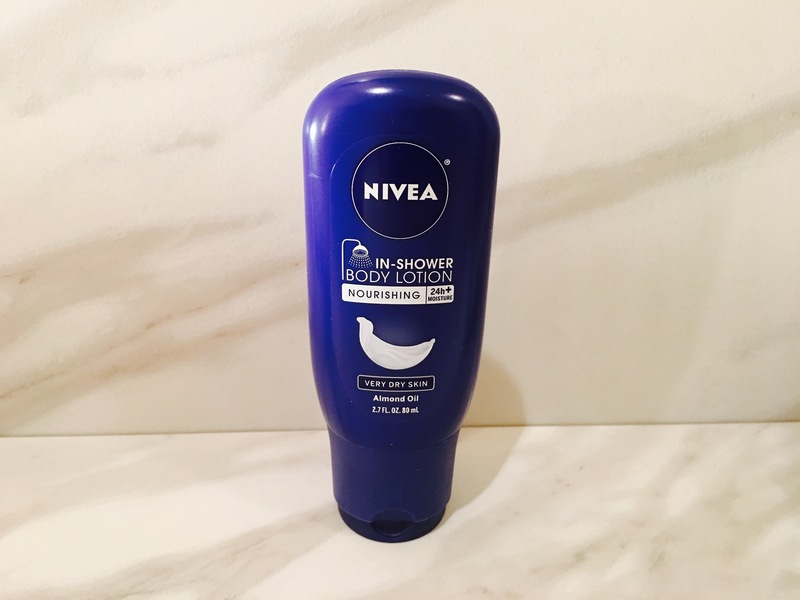 Nivea In-Shower Body Lotion with almond oil. If you’ve been following Passion Locked for a while, I featured this product in one of my favorites blogs a few posts back. But my thoughts have changed since. I no longer like this product. I don’t know if they change the formula or ingredients, but it doesn’t make my skin feel nice and soft or hydrated after showering – and I still have to put on lotion afterwards. I’ll be adding this product to my giveaway box. 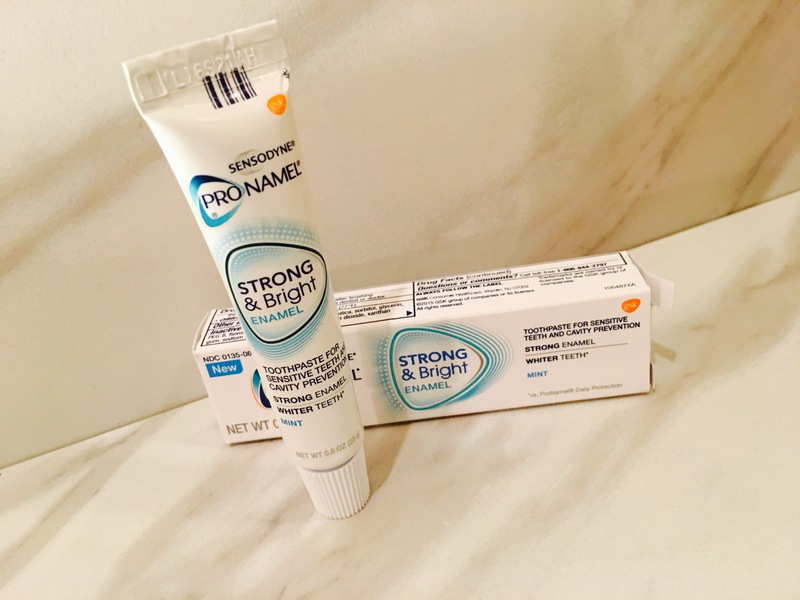 Sensodyne ProNamel Strong & Bright Toothpaste for sensitive teeth and cavity prevention. I use Crest toothpaste, because growing up that’s what my parents bought for the house. So when I moved out on my own and started purchasing toothpaste for myself, I went with what I knew. But I’m open to trying new things. Stay Tuned for Part 2 of this review for a look at other box I got. If you think I should do a beauty box giveaway, comment and let me know. 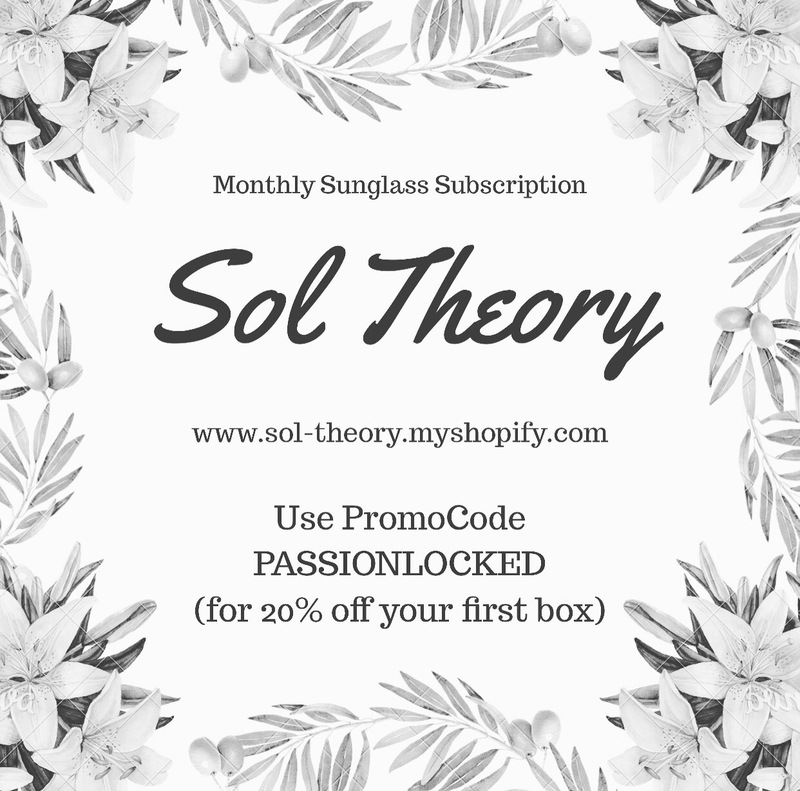 Don’t forget to check out Sol Theory, a monthly sunglass subscription. Use promo code PASSIONLOCKED for 20% off your 1st box.